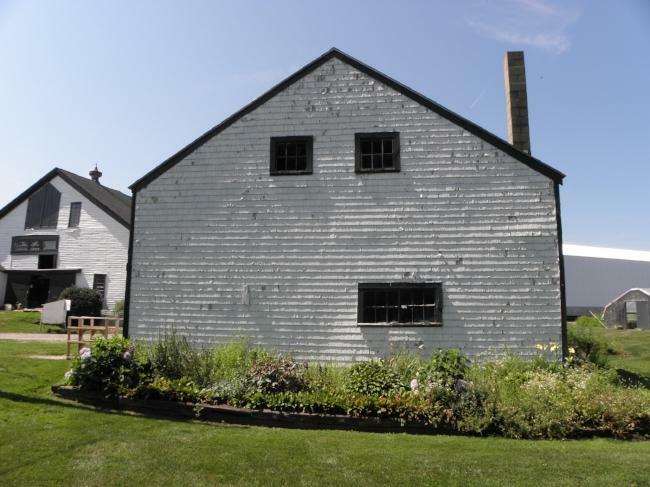 The Scamman Farm barn was chronicled by the N.H. Preservation Alliance, in its series highlighting 52 barns in 52 weeks. The Scamman Farm in Stratham, New Hampshire, has been named to the National Register of Historic Places. The Scamman Farm barn, a circa 1750 barn, was one of the oldest structures chronicled in the New Hampshire Preservation Alliance's series, "52 Barns in 52 Weeks." The last remaining roller rink in all of Vermont or New Hampshire sits near the bottom of a hill in the Upper Valley town of Enfield, N.H. It’s on a rural stretch of Route 4, the main road running through town. It’s hard to believe the place is still in business. Sometimes there’s just couple of cars sitting in the parking lot, even on a weekend evening or afternoon. A black bear sow New Hampshire wildlife officials relocated to the North Country last year in an attempt to keep the animal out of trouble in Hanover has made her way back to the Upper Valley. The bear is affectionately known as Mink, after the local Mink Brook natural area where she often spent her time. Over the years, she and her offspring became accustomed to feeding on garbage and birdseed around Hanover, home to Dartmouth College. New Hampshire Fish and Game planned to shoot her as a last resort after her yearling cubs found their way into a home in town.